RFR is Front Page News! "It's great to be here doing this," McInerney said. 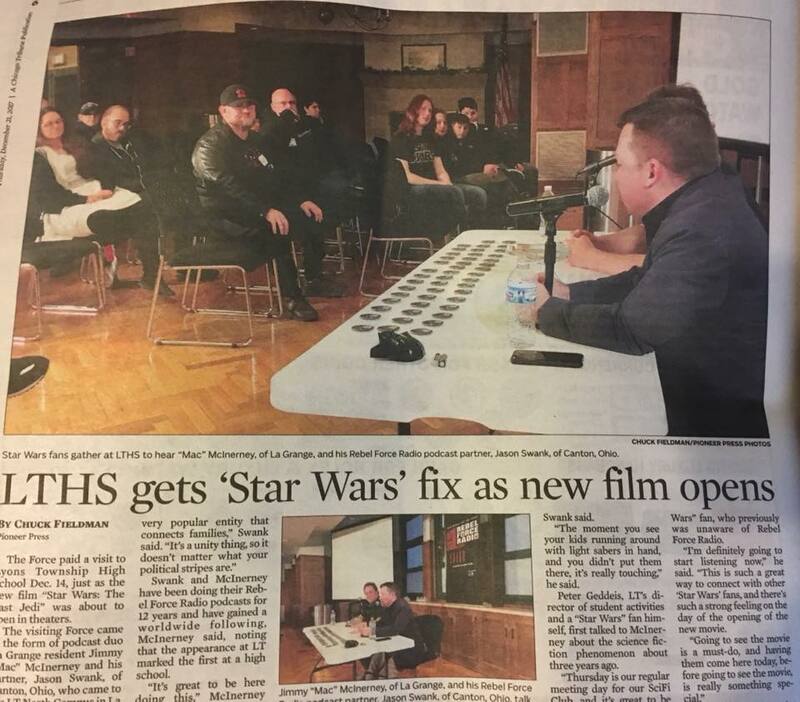 "Everyone is very excited about the new movie, and Jason was going to be in town for the opening, so this worked out great." Along with talking about Star Wars on their podcasts, McInerney and Swank remain huge fans. "I lose my professional edge sometimes and become that 8-year-old kid again," McInerney said. And the interest in Star Wars crosses generations, Swank said. "The moment you see your kids running around with light sabers in hand, and you didn't put them there, it's really touching," he said. Click HERE to read the entire piece!